Babel is making guava ‘sparklers’ with fresh Cape pondweed (also known as waterblommetjies), grown a stone’s throw away in our own ponds. Because the pondweed is harvested so fresh, the vanilla-scented flavour harmoniously complements the taste of the guava. 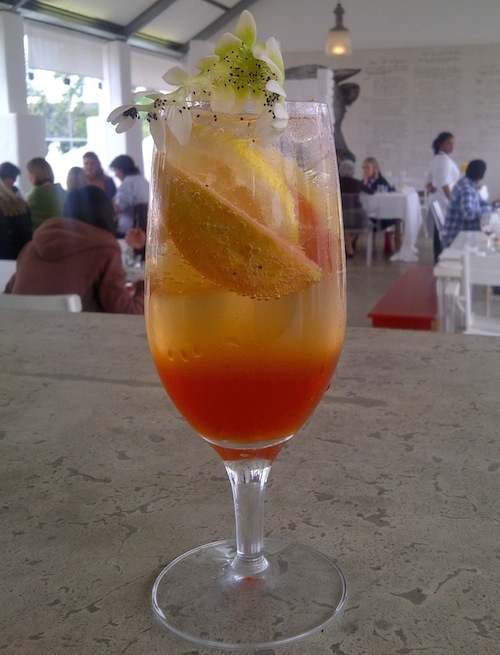 Amazing how a flower can contribute so much to this sparkling drink!